Filled with brine-soaked Mediterranean olives, this crusty bread will be the star at the dinner table. Lay a clean kitchen towel on a cookie tray and dust liberally with corn meal. Set aside with another towel beside it. You will also need a large Dutch oven or heavy ceramic pot with a lid. Combine the flour, yeast and salt together in a large bowl. Add the warm water and gently mix together with your hand or a wooden spoon until the dough starts to come together. Turn dough out onto a lightly floured surface. Knead very gently into a ball shape. Coat bowl with olive oil and place dough in bowl, turning to cover all sides. Cover and seal well with plastic wrap. Let sit in warm place until it doubles in size. Once dough has risen, turn dough out onto a lightly floured surface. With fingertips, press the dough into a flat circle and sprinkle about half of the olives on top. Fold the dough over on itself, hiding the olives and press down again to form a flat shape. Place the remaining olives on top of the dough and fold over again, and form dough into a ball shape. 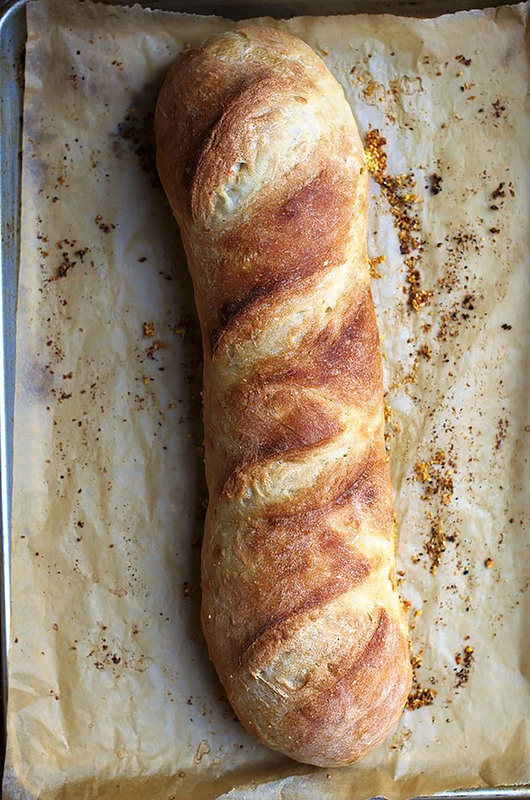 Lay the dough onto the cornmeal-dusted towel, seam side down. Dust the top of the dough with some extra cornmeal and cover with the second towel. Let rest until it's almost doubled in size. Preheat your oven to 450°F and place the empty pot into it. When dough has risen, take off the top towel and using a sharp serrated knife, cut two slits across the top of the dough. 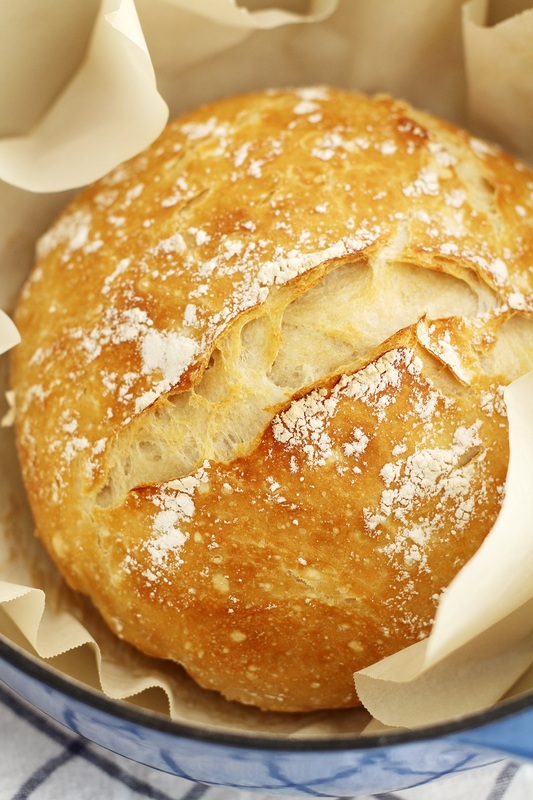 Take the pot out of the oven and very carefully lift and drop the bread into the pot. Place the lid on and put it back into the oven. Bake for 30 minutes. After 30 minutes, take the lid off the pot and bake for an additional 20-30 minutes until the crust is golden and crispy. Rising times may vary due to environment and temperature of the surroundings. Heat will speed up the process so small warm areas are great for letting the bread rise. I can not find our Platium Superor being yeast can I use one of your other yeast type. You can use Quick Rise or Active Dry Yeast in this recipe. Substitute 1:1. The rise times may vary, so just keep an eye on your dough.